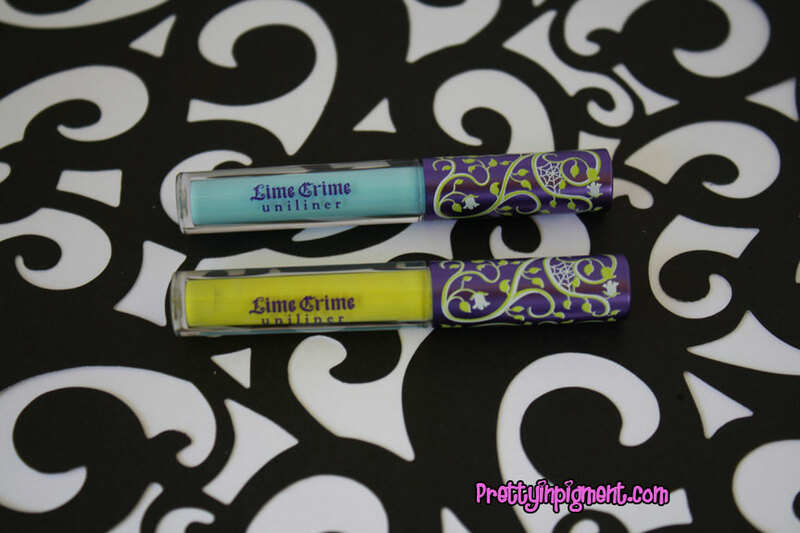 All summer long I have heard the rad raves about the new “Uniliners” released by Lime Crime, So I decided to do my own Limer Crime Uniliner Review. As most of you may already know, Lime crime is notorious for there unique brightly colored product. Their dreamy colored eye liner collection includes 7 shades ranging from creamy pastels and blinding brights. 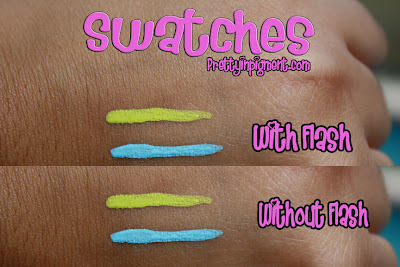 All of the colors are packed with highly pigmented colors to last for hours, and are also vegan(cruelty-free)! Lime Crime promised and they delivered. The two shades that I purchased: Blue Milk, a creamy baby blue. Chartreuse, a yellow-green shade electric shade. Both of the colors are consistent and bold. The brush-tip applicator is truly precise, controllable and easy to use. Best of all, they last for hours! I even tested them under water, I can’t say they are waterproof, but they are water resistant. With flash or without flash, they colors remain bright and bold in any lighting! As some of you may know, last week was my birthday! The big 27…blah! I’m not a big fan of birthdays ever since I turned 25. I didn’t do much for my birthday, but I did go out to celebrate with my boyfriend and friends. This was the perfect opportunity to rock my new liner! Here are some pics for the look I created for my birthday night out! Sorry for the crappy quality, I took these pics with my iPhone. Would you like to win your own Blue Milk Uniliner? Enter my giveaway for a chance to win! What do you think of my fun and colorful look? 2611Art Custom Makeup Brush Roll Giveaway | ENDED! Thanks! I’m very happy with the colors that I choose. and lime crime always goes bright on their products, and I can’t say no to that! such lovely liners!!! !